When it comes to sustainable manufacturing, what does circular thinking really mean? 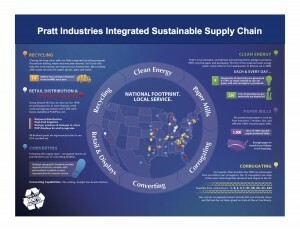 Have a look at this infographic (below) to see what Pratt Industries is doing to close the loop. Starting with a fully integrated recycling program, 1.8 millions tons of waste are diverted from landfills each year. The recovered waste paper is then used to make new paper in 100% recycled paper mills. That paper then goes on to become corrugated sheets which are then used to make in-store displays, retail ready packaging products and corrugated boxes available for purchase at PrattPlus.com. The process then starts again through waste recovery. 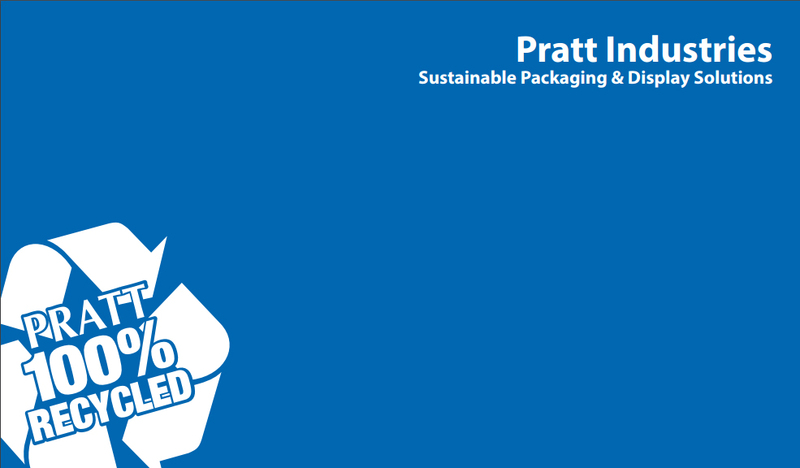 Pratt’s environmental commitment extends beyond its pledge to produce 100% recycled paper and packaging. The first of four planned clean energy plants came online at our headquarters in Atlanta, GA in 2009. As a result of these clean energy efforts, electricity and steam are generated to run the paper mill, thereby displacing thousands of tons of greenhouse gas emissions.